O-2515-16, An Ordinance authorizing an agreement with Charles Kelsey to provide Mayor’s Court Magistrate Services for a one-year period from January 1, 2017 Through December 31, 2017. 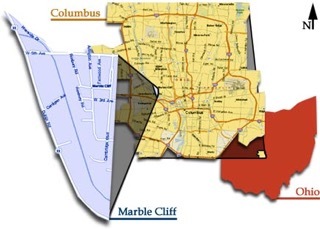 O-2516-16, An Ordinance to make appropriations for Current Expenses and other Expenditures of the Village of Marble Cliff, State of Ohio, during the fiscal year ending December 31, 2017. O-2517-16, An Ordinance authorizing the Mayor and Fiscal Officer to enter into an agreement with Curtin & Associates for the audit and review of income tax policies and accounts of the Village of Marble Cliff. O-2518-16, An Ordinance authorizing the Mayor and Fiscal Officer to enter into a contract for professional legal services with Frost Brown Todd, LLC for a one-year period from February 1, 2017 to January 31, 2018. Village Hall is receiving complaints about residents allowing their dogs and cats to run at large through and defecate in private yards and public spaces. Pet owners are reminded of Village Ordinance 90.01 that states…..
“No person who is the owner or has charge of dogs or cats shall permit them to run at large in the public road, highway, street, lane, or alley, or upon unenclosed land, or permit them to go upon any private yard, lot, or enclosure without the consent of the owner of the yard, lot, or enclosure. Owners or keepers of dogs and cats who negligently permit them to run at large is liable for all damages resulting from injury, death, or loss to person or property caused by the animal. In order to remain in compliance with the Ohio Building code, the following home improvement projects have been added to the list of building permits required- basement waterproofing, roof replacement, siding replacement, storage sheds of any size, window replacement. The Building Permit forms are available by clicking on “Permits” above. In general, permits are required for all types of construction work (new, renovation, additions, rehabs). Please contact the Grandview Heights Building Department (614-481-6220) before you begin any work or if unsure to help determine permits required.